Early Monday morning, the basketball world found out that the struggling Lakers decided to sign Mike D’Antoni as their new head coach. Let me start by saying that the Lakers interim head coach, Bernie Bickerstaff, is 2-0 since the firing of Mike Brown and I think Bernie deserves a couple of more games to prove whether or not he can manage this juggernaut team. That being said, D’Antoni has been chosen as the Lakers front office’s first pick to fill the coaching void and now there is some questions and controversy surrounding their decision. Once Brown was fired, everyone in the world thought that the Zen Master himself would retake the helm and lead this team to his twelfth Championship ring. Well, Phil Jackson is still jobless and Mike D’Antoni is about to lead an ideal lineup for any coach in the league, but is this decision the right choice? 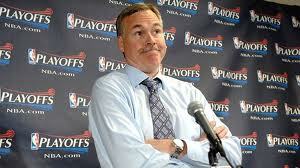 Obviously, as a Knicks fan I have my extreme skepticism’s about D’Antoni’s coaching ability. This is a guy who has made it abundantly clear over his two decades as an NBA coach, that he has no regard whatsoever for the defensive end of a basketball game. Sure, Mike won Coach of the Year for his 2004-2005 season managing the Phoenix Suns to their first year of relevancy since the days of Charles Barkley, but he did so by leading the league in scoring and he also had a PG named Steve Nash, in his prime might I add, on his way to his first of two NBA MVP’s. Don’t get me wrong, I think that D’Antoni is one of the smartest offensive basketball minds to ever grace the hardwood, but if you are a true NBA fan, you know that Championships are not won on the offensive end. When there became a vacancy in the Lakers head coaching position, everyone’s first thought was that Phil was going to come back to help Kobe match the six rings he helped put on Michael’s hands. Even Kobe addressed the media saying how he thought “he never truly gave Phil a quality farewell season”. The Staples Center roared with chants of “We Want Phil! We Want Phil!” The only problem with that thought was no one thought Phil was going to want to come back to the NBA so soon; only 1 year removed from retirement. The Lakers front office, The Buss family and Mitch Kupchak, visited Phil early Saturday morning and after some short talks, Phil was under the impression that he would have until today to work out the kinks and make his decision. Well Phil, you snooze you lose! 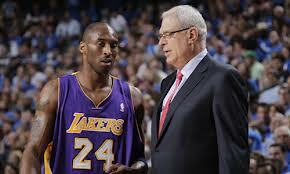 First off Phil, there is no way that the Lakers thought Mike was “the best coach” for the job. The way I see it is that Phil, in the final seasons of his coaching career, was very high maintenance with his restrictive traveling schedule and constant health issues. Mike, on the other hand, will be the perfect puppet for Jerry Buss to bounce on his knee and do whatever it is he wants done with his team. D’Antoni doesn’t have the type of pull that Jackson would demand and that is a lot more comforting for Kupchak and the Buss family. The truth of the matter is that D’Antoni and Phil can not even be mentioned in the same sentence when referring to their coaching abilities. 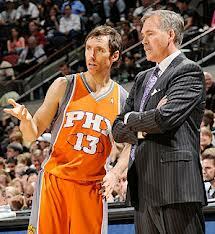 Phil is arguably the greatest coach there ever was and Mike D’Antoni is just eh. D’Antoni has had a couple of successful regular seasons under his belt and he has proven that he can match anyone’s offense output, but the Lakers always make the playoffs so the regular season is not their problem. They need to win once in the postseason and Mike has proven time and again that he can not coach in the playoffs. I do understand the signing of Mike though. 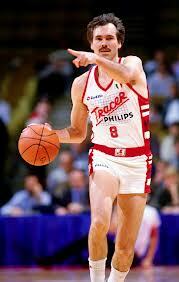 He obviously has a report with Nash and when Kobe was growing up in Italy, D’antoni was his favorite player to watch. Add that to the fact that Mike coached both Dwight and Kobe on multiple Olympics teams and you have a coach who has pretty good chemistry with his core players. Kobe even went on to post on his Facebook page, “It’s been a wild week to say the least. 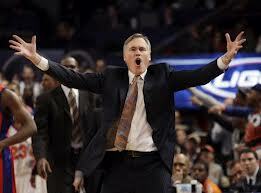 I’m happy to have closure and can’t wait to get to work with Coach D’Antoni.. spacing, ball movement. And despite the chatter, I believe we will be phenomenal defensively. I’m looking forward to getting started with him and his staff this week. 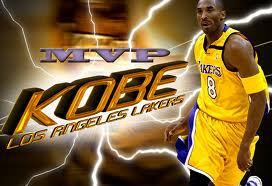 Mamba out.” Phenomenal defensively? I doubt it. I honestly feel that anyone with the slightest bit of basketball knowledge can coach this Lakers team to the NBA Finals because of how talented their roster is. There was so much fuss over their 1-4 start, but lets not forget that the Miami Heat started with a 9-8 record when they first joined Lebron-Wade-Bosh. Chemistry takes time and I can assure all of the doubters out there that the Lakers will be a force to recon with for the rest of the season. As to whether or not Mike was the right choice to lead them to their successes, well that’s just something we will have to wait and see. The Lakers Don’t Want Howard…They Need Him! For Kobe stakes are high. Land o’ Lakers times is running short. What is this, the food network?! Kobe Bryant is one of the greatest player’s in the history of the NBA, but there is no denying that his career is on the down swing. 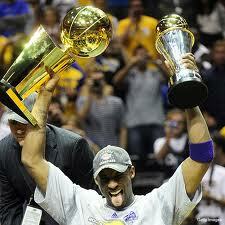 Already with 5 NBA Championship trophies as well as an NBA MVP award, Kobe has proven that he is a glorified winner. Bryant turns 34 in August and unless you are the New York Knicks organization, you think that is getting too old for the NBA. In my estimation, Kobe has two great years ahead of him and then possibly 2-3 average years, but his window for winning his coveted sixth Championship is closing fast. The 14 time NBA all-star knows this and is all for his management putting together a Championship team for this season. Nash bridges one gap, but who else will get on the Buss? 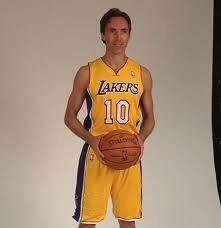 Jerry Buss and crew started their off-season magic with the best Free Agent signing of the year in Steve Nash. 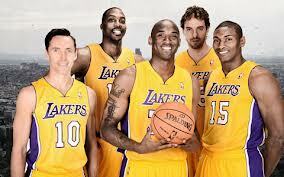 Unfortunately for the Lakers, they were more than just a quality PG short of winning the Championship last year. After acquiring Nash, Buss continued to look for the pieces that helped his team win 5 Championship’s since 2000. With some rumors flying, it seems as if the Lakers are about to sign Free Agent Antwan Jamison which will give them more great veteran leadership and a chameleon SF who pulls off the PF roll as well as anyone. While the former UNC Champion Jamison will bring a quality perimeter shot to the Lakers and add 7-9 rebounds a game depending on his minutes, his lack of defense will be a cause of huge concern for a team that prides itself on tenacious defending. Antwan, an two, and three – Championship! Nash has also been known for splotchy defense throughout his career and while Kobe has been named to numerous amounts of NBA all-defensive teams and Metta World Peace is literally willing to elbow someone in the face to stop them, the Lakers need more defense to win it all. Andrew Bynum might be one of the best up and coming Centers that the league has seen in a while, but his skill set still can not match up with Superman Dwight Howard’s. To win a Championship, you need big men defenders and while all the haters out there will say that Miami just won it all without a big man defender I will say that Lebron defends as well as anyone ever has…he is a freak and a player like him only comes around once every 20 years. I mean there hasn’t even been a PG Defensive Player of the Year since Gary “The Glove” Payton won it in 1996. Dwight down their alley, Lakers picked Andrew a winner. 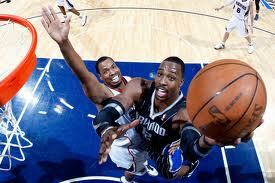 There is no better defender in the league than Dwight Howard and he will fit in perfectly with Mike Brown’s Lakers. Although Howard has stated multiple times that he only wants to sign an extension with the Brooklyn Nets, maybe he would be comforted knowing that signing with Kobe and the Lakers would pretty much guarantee him a trip to the NBA Championship. The loss of Bynum would be tough, but if Howard were to sign for at least 4 years than I’m pretty sure the Yellow and Purple will be able to cope with it. Howard can defend not only the opponents Center but he would also be able to shut down the players that coast past Nash and Jamison on a regular basis. 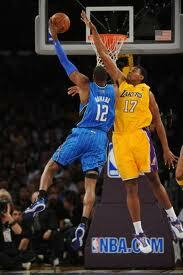 Anyone that tries to say that Bynum has more potential than what Howard has to offer is a buffoon. Hey waiter! Can we get a cup over here! If Kobe combines forces with Nash, Gasol, Jamison and Howard, than there will be absolutely no one that has a starting 5 who can match up with them. If this team does form this superhero alliance than they will be ancient in 3 years, yet still younger than the Knicks current roster. The Lakers had to be planning on restructuring their entire team once Kobe’s career comes to an end anyway, so why not go out with a bang and win a couple of more Championships. For the NBA’s sake I hope this happens because I would like to see someone capable of putting out the Heat’s fire. If this move doesn’t happen than you can expect no more than a second round exit from the playoffs for the Lakers once again. Now that the NBA season is over, fans will wait in anticipation for the Free Agent market to open up so they can see if their teams are prepared to build or rebuild for success. While the 2012 class of FA’s doesn’t bring nearly the attention that the 2010 one did, (i.e. Lebron, Bosh, Wade, Stoudemire), there is still a ton of talent up for grabs. Every team in the NBA has a different need and this Free Agent class has a buffet of tasty options to fill those needs. From perennial all-star, Deron Williams, to surprising stand out big man, Roy Hibbert, there is no shortage of talent for teams to feast off of. I would like to say that these unrestricted Free Agents would do what was right and not sell out for the big bucks, but that’s unrealistic thinking nowadays. Here is a list of some of the big FA’s and where I think their best fits would be. Could stay in Brooklyn, but what’s the point (guard)? Deron Williams: Easily one of the best point guards in the NBA, there isn’t a team around that wouldn’t want Deron leading their attack. Unfortunately for 28 of those hopeful teams, Deron has already come out and said that he has narrowed his choices down to two. He will either be the face of the new Brooklyn Nets franchise, where is currently playing, or he will go back to his hometown of Dallas and join Dirk Nowitzki for what would be considered one of the best teams in the NBA. Williams has made it clear that he wants to play for the team with the best foundation for winning a championship now. “I want to go to a place where I feel like they will have a chance to build and build fast,” Williams told the Los Angeles Times. “I’m not really in the mood for being part of a rebuilding process. I’m getting older. I’m about to be 28. I want to win. I want to win now. Also, I want to live in a place where I want to live and my kids will enjoy living. That’s pretty much it.” I think that if he wants the best chance of winning then he better pack his bags and go home because Brooklyn will be a struggling franchise for years to come. Roy Hibbert: There used to be a time where a team couldn’t succeed without a Center and the forefront of their team. Now there are teams that win Championships, i.e. The Miami Heat, without even playing a Center. The NBA is down to a handful of respectable Centers and Roy Hibbert is towards the top of that list. Luckily for the Indiana Pacers, Hibbert is a restricted Free Agent, meaning that they can match any offer that is made to him. With Marc Gasol in Memphis making close to $14 million next season, Hibbert will be looking for similar money based on their identical skill sets. While Hibbert fits in perfectly with young and talented Pacers, I feel he can benefit a lot more with a couple of other teams. 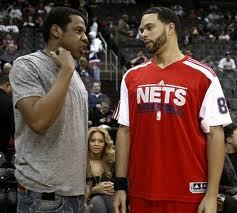 If the Nets retain Deron Williams, which I don’t think they will, then Hibbert would be a great compliment for him. 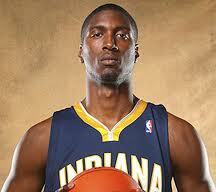 With the possible loss of Dwight, the Orlando Magic could be a nice fit for Hibbert as well. If Miami takes him, I will end up Nashing my teeth. 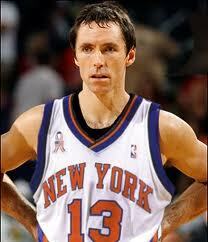 Steve Nash: I saw this mock picture of Nash in a Knicks jersey so I had to use it. Nash has been the best point guard in the NBA over the past decade+. With two NBA MVP awards and an ability to pass a basketball through the tightest of situations, Nash has the skills to lead any team to a successful season. I can pretty much guarantee that Nash will leave the Phoenix Suns and his destination will be determined solely on whether he goes for the money or the ring. 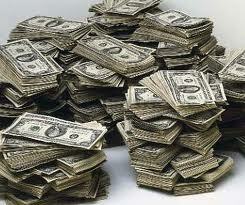 There are tons of teams in need of a point guard, but only a few teams that can afford to pay them a large salary. The Knicks are considered a possibility for Nash, but with a lot of monetary restrictions they might not be able to sign him. The Brooklyn Nets, (I know I have mentioned them a lot but they have the most money and space for Free Agents), if they lose Deron, will have a huge vacancy to fill and Nash would be perfect for that. There have also been rumors that the Heat might pursue Nash and if that actually goes through I will boycott this NBA season…not really but come on! Toronto is also a possible destination for Nash due solely to the fact that he is Canadian. This might be a biased statement, but I feel that Nash’s best option would be the Knicks due to the fact that if he went there he wouldn’t have to carry the whole load with Jeremy Lin most likely returning and I couldn’t think of a better mentor to learn under for Lin. Who wants a Garnett ring when you can have diamonds! Kevin Garnett: This 36-year old future Hall of Famer would be a great fit for any team. Even in a year where people considered him to be washed up, Garnett was clearly the piece, outside of Rondo, that kept the veteran Celtics together. The Celtics were +267 with Garnett on the floor during the regular season compared to -101 with him on the bench. 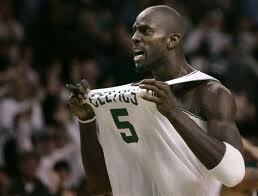 There is a huge possibility that KG can end up staying with Boston or there have even been rumors that he might retire. If neither of those things happen then I feel there are a couple of great fits for him. If the Lakers get rid of Pau Gasol, he is being heavily shopped, then they would have a void in the PF position and KG and his veteran leadership would be a great fit to help Kobe get his sixth ring. I also feel that the Denver Nuggets, with the possible loss of big man JaVale McGee, could be a good fit for KG. If Garnett decides to move his talents, it will most likely not be for the money because he had just come off making $22 million last season and has earned over $300 million during his 17 year career. 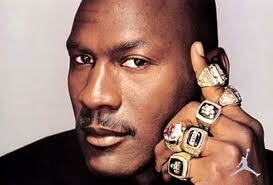 KG will be looking for ring number two and if he feels that it is in reach then he is going to grab it. Lou Williams: If it wasn’t for James Harden then Lou Williams would have been the sixth man of the year. 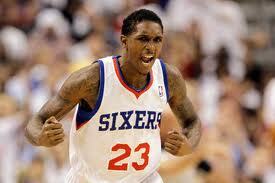 Lou provided instant offense and has an aggressiveness that brings fans to their feet. Williams is one of the major reasons that the Sixers were able to upset the #1 seeded Chicago Bulls in the first round of the playoffs. There are plenty of teams that are in need of a prolific scorer and Lou can fill that role perfectly. Philadelphia will do whatever they can to keep him around, but with his value skyrocketing over the past season, Lou might find some reasons to play elsewhere…millions of reasons. With Derrick Rose most likely missing some of next season due to injury, Chicago might be a great fit for Lou to fill in that point guard roll. If Deron doesn’t end up in Dallas then the Mavericks might search for a Lou type player as well. In my opinion, I think the Portland Trailblazers would be the best option for Williams so he can join forces with Lamarcus Aldridge and become a force in the Western Conference. Think I’ll buy me a [basketball] team. Even though he isn’t a FA, Dwight Howard most definitely will be traded sooner than later, and the Free Agent market might get shook up. Rumors put Dwight in Brooklyn or even Los Angeles and if that happens then the flood gates will open and players will be moving at a rapid pace. With Free Agents like OJ Mayo (restricted); George Hill (unrestricted); Jason Kidd (unrestricted); Ray Allen (unrestricted); Jeremy Lin (restricted); Ryan Anderson (restricted); Carl Landry (unrestricted); Kris Humphries (unrestricted); Andre Miller (unrestricted) and many more, there are plenty of compliments to a teams superstar. Let’s just hope that they don’t all bring their talents to South Beach because it would be nice to see a competitive season next year.